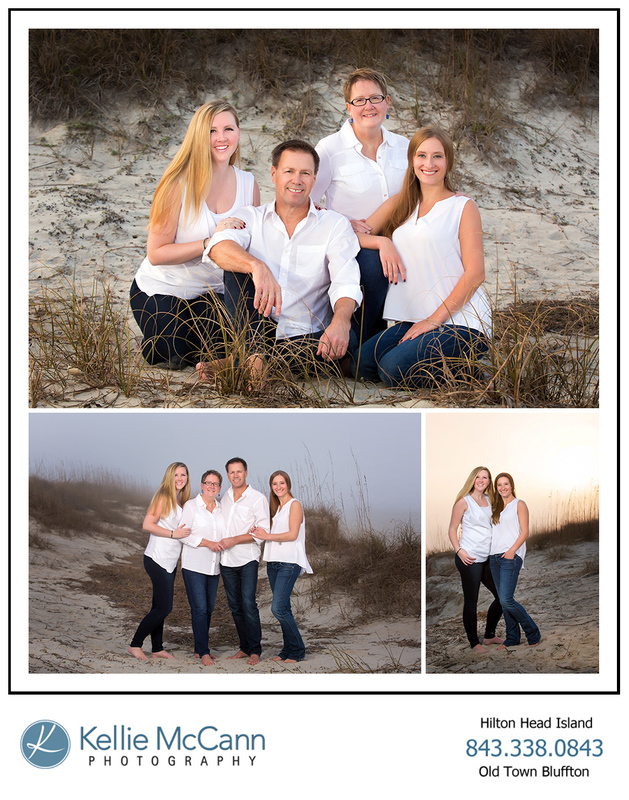 Now that it is officially spring, have you begun to plan your next family portrait session on Hilton Head Island? If you haven't, then why not? Spring is the perfect time for a family beach portrait on Hilton Head. Besides beating the hot summer island heat, you will also avoid the wrath of our summer thunderstorms...and the sky is much more vibrant than the hot humid months of summer! And to kick off the Spring portrait season, if you reserve your Spring Portrait Session in the next 7 days, you will recive a BONUS of $200 of studio credit to use towards your portrait selection PLUS 20 complimentary Holiday Cards. Contact Kellie NOW to book your spring family portrait session as space is limited for this offer. If you are not coming to Hilton Head on vacation until the summer...you can still contact us to get a jump start on your portrait planning as summer is the busiest time of the year and spaces are always limited. We only photograph one family a night, generally three a week to concentrate on creating the best portrait session experience for our families on vacation. Images above from the Mills Family Beach Portrait session on Hilton Head. Bluffton Family photographer, Hilton Head Photographer, Kellie McCann specializes in Headshots, family beach portraits, high school senior portraits and children’s portraits.